Canada's Original Night Trail Run! It’s a night run, it’s a party, it’s spooktacular! Join us for a hauntingly good time at the 13th annual Trek or Treat 5KM Night Run & Creepy Mile. Weave your way through Oakville, Ontario’s haunted trails, where the only light ahead is from your headlamp and our haunting displays! 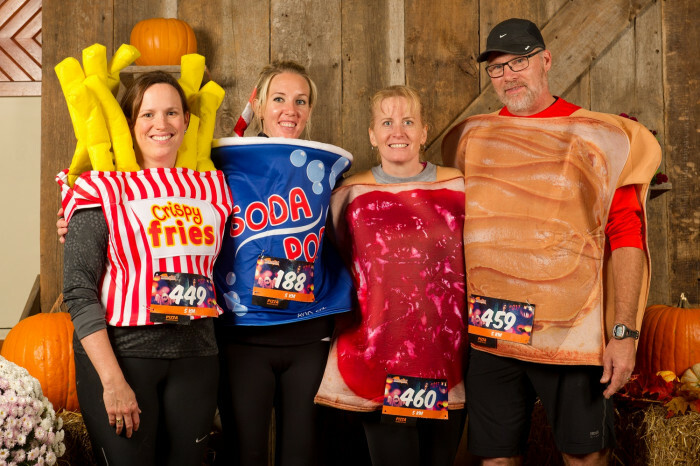 Wear your costume and tackle our 5-kilometre trail run or family-friendly Creepy Mile. Finish the night off with pizza, hot chocolate and tons of candy at the indoor after-party. Medals for all 5KM finishers and ribbons for Creepy Mile kids. Bring a canned food donation and help us reach our goal of 1,500 pounds of food raised in support of the Oakville Fare Share Food Bank. Visit our website for full event details and answers to frequently asked questions. 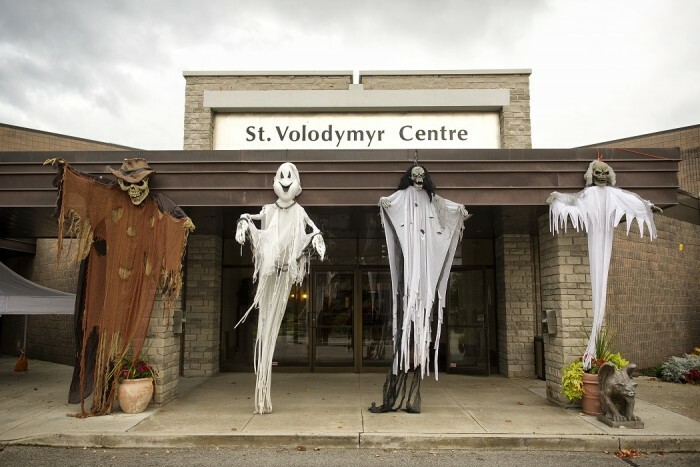 In 2018 Trek or Treat celebrates its 13th year in Oakville at the St. Volodymyr Cultural Centre. Trek or Treat is more than just a run. It’s a Halloween tradition! 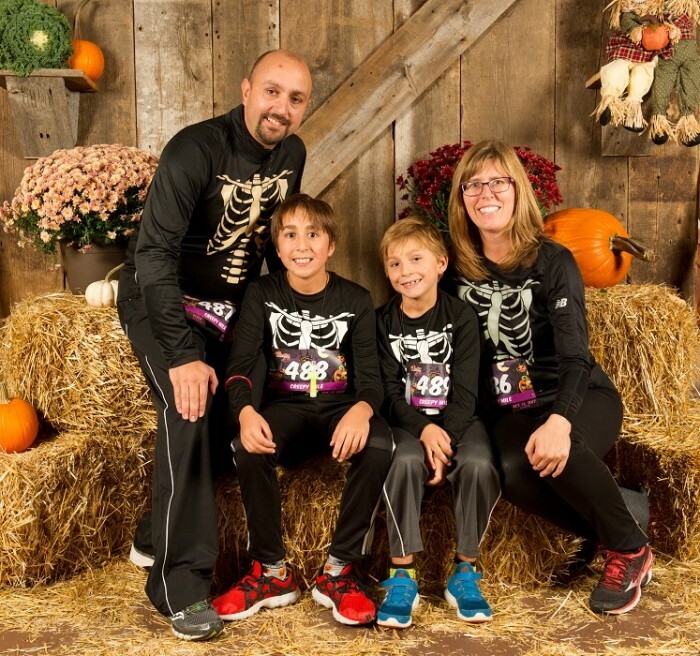 Hundreds of runners, walkers and their families don their costumes to enjoy our 5KM or family-friendly Creepy Mile events, followed by a haunting evening of Halloween-themed activities. It’s a race, it’s a fun run, it’s a party! The 5KM run is our flagship event. 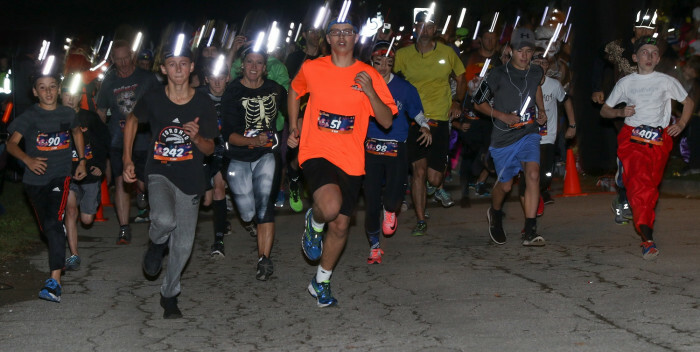 Runners, joggers and walkers take to Oakville’s darkened trails wearing costumes and donning headlamps or holding flashlights to light their way. Pumpkin kilometre markers glow along the route, and participants get to take in Halloween displays and decorations along the way. All finishers receive a commemorative race medal for their efforts. Cross the finish line and come inside to enjoy free pizza, hot chocolate and more! The family-friendly Creepy Mile is designed with kids in mind and is scheduled so that 5KM runners can do the event with their families. The one-mile route is decorated with huge, glowing Halloween inflatables and features a mid-way candy station! All kids receive a ribbon at the end, along with pizza and hot chocolate inside. Come early and enjoy free face painting, balloon animals, free (professional) family photos, a magician and more! If participating in the 5K and Creepy Mile, please register for the 5K first. IMPORTANT: The 5KM event is capped at 550 participants and sells out ahead of race day. Please register early to avoid disappointment. There is absolutely no race day registration. The minimum age to participate in the 5KM event is 7. Children ages 7-11 must be accompanied by an adult also registered in the 5KM event. Children ages 7-11 will not be able to register without a paid adult registrant. For children ages 12 and up we ask that parents use their own discretion; the trails are dark and children are not under our supervision on the course. Please note that there is no access to the after-party/indoor venue without a race bib. IMPORTANT: The Creepy Mile is capped at 450 participants and sells out weeks ahead of race day. Please register early to avoid disappointment! There is absolutely no race day registration. Creepy Mile teams can be a maximum of 5 people and must include a parent or guardian aged 18+. You can’t add additional team members to a team of 5. In this case you must create another team with at least one adult aged 18+. This is required to ensure the safety of all kids on course. Guardians/parents registered in the 5KM event do not need to pay again to participate in the Creepy Mile, but must register. Please register in the 5KM event first, in order to check off your name as a team member when registering for the Creepy Mile. Children under the age of two on race day are free, but must be registered for insurance/safety purposes. They will receive a race bib, which needs to be visible on child or stroller for entrance into party inside. This is absolutely no access to facility without a bib. Please review our attendance, registration and refund policies here. October 23 6:00 PM EDT - Early Kit Pick Up - ends at 8 p.m.
October 26 5:00 PM EDT - Event Day 5KM & Creepy Mile Race Kit, Chip & Bib Pick Up (on-site) - ends at 7 p.m.